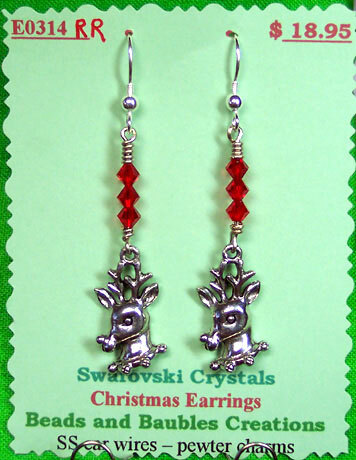 These earrings are made with pewter charms, Swarovski crystals and Sterling Silver ear wires. They will come with the color beads displayed in the picture. If you have any questions please contact us at contact@beadsandbaublesny.com We have tried to have a representations of all the charms we have in stock. If the charm is not show with Swarovski crystals then it is shown with acrylic beads.